Gary Yohe, the Huffington Foundation Professor of Economics and Environmental Studies, was widely quoted in the media about the fourth National Climate Assessment, the first to be released under the Trump Administration. “The impacts we’ve seen the last 15 years have continued to get stronger, and that will only continue,” Yohe, who served on the National Academy of Sciences panel that reviewed the report, told The Washington Post. “We have wasted 15 years of response time. If we waste another five years of response time, the story gets worse. The longer you wait, the faster you have to respond and the more expensive it will be.” Yohe was also quoted on the report in The Hill, The Verge, Al Jazeera, and many other news sources. He is also professor of economics, and professor, environmental studies. In this op-ed, Richard Grossman, professor and chair of economics, writes that Brexit, or Britain’s “divorce” from the European Union, is anticipated to “reduce Britain’s economic prospects in both the short and long run and leave the country poorer than it would have been had it remained within the European Union.” He writes: “There is a way out of this mess,” but the difficulties are political, not legal. “Leaving the European Union will be a drag on the British economy in the medium term. Even before Brexit takes effect, however, the economy will be hurt by two factors: expectations and uncertainty. “The expectation that the UK will no longer have free access to the European market may lead exporters to reorient production toward domestic consumption or export to non-EU regions well before Brexit comes into force. UK-based financial firms may shift operations to EU locations in anticipation of Brexit, rather than waiting until it is a fait accompli. “And firms that rely on high-skilled labour may relocate to other countries if they expect the reduction in immigration that is expected to accompany Brexit to reduce the pool of talented workers in the UK. “In addition to its anticipated effects, the economy will suffer from the uncertainty surrounding Brexit. There really is no precedent for a country to leave the EU, so no one really knows how the negotiations will turn out. “And markets hate uncertainty. The worse the perceived effect of Brexit, the worse a drubbing the pound will take. On June 23, Professor of Economics Richard Grossman presented a paper at an economic history symposium jointly sponsored by the Bank of England and the the Centre for Economic Policy Research. Titled, “Beresford’s Revenge: British equity holdings in Latin America, 1869-1929,” the paper looks at stock market returns of Latin American firms traded on the London Stock Exchange. The program for the conference can be seen here. Professor of Economics Richard Grossman tells his students that getting closer to the truth is what economic research is all about. That’s why he was so dismayed when “my devotion to, and belief in, the truth was battered by the presidential election,” he writes in an op-ed on The Hill. It turns out that polling data and analysis contained very little truth. The news were no better. The mainstream media got many things wrong. And there was no shortage of fake news. Although peddled as the real thing, it really wasn’t even trying to provide truth, only to shape opinion. But by far the biggest letdown in the truth department was Donald Trump, who proved that telling lie upon lie upon lie need not prevent someone from being elected president. “What should the truth-loving public do going forward?” Grossman asks. First, pay attention to sources. It is relatively easy to construct a realistic website that has the look and feel of a real news organization or reputable think tank. Do not be fooled. If someone tells you something about the state of employment in the United States, double check facts at Bureau of Labor Statistics’ website. The U.S. government is the best, most reliable source for factual data about the nation’s economy. Obama didn’t fudge the numbers, and Trump is unlikely to be able to do so. Second, even relatively trusted new sources have their less trustworthy bits. In print media, the division between truth and opinion is usually clear. You can generally trust what you read in the Wall Street Journal, until you get to the opinion pages. Television networks are less clear about separating fact from fiction. CNN’s hiring of Trump campaign employee Corey Lewandowski—while he was on the Trump payroll and still subject to a non-disclosure agreement—should have set off alarm bells among CNN viewers, not to mention the better journalistic instincts of CNN’s management. Third, be demanding. I encourage my students to challenge the authors that they read in class, including me. Ask questions, check sources and verify the truth for yourself. Just because something has been shared on Facebook a million times does not mean it is true. We should challenge the assertions of politicians of all stripes just as vigorously. Finally, we need to care more about the truth. One of the most troubling aspects of the election was that so many people voted for Trump despite being fully aware of his many lies because “he shouldn’t be taken literally.” At the risk of sounding naive again, approaching national elections with the attitude that outright lies don’t matter does not bode well for the future of our democracy. As part of the “A Vanished Port” series, Richard Grossman, professor of economics, presented a lecture titled, “How Rich Was Rich,” at the Russell Library in Middletown, Conn. on Nov. 9. 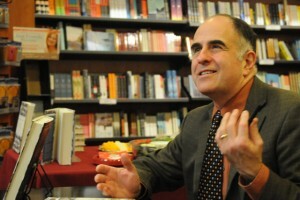 Using Middletown merchant, Richard Alsop, who died in 1776 with a huge estate that included property, possessions, and human beings, all valued at 52,000 pounds as an example, Grossman attempted to answer the question, “Were Alsop and his fellow Middletown businessmen rich by modern standards?” In this vein, Grossman examined the colonial currency of early Connecticut, its buying power, the monetary standards of the time, and the difficulty of understanding a very different form of money in today’s standard. Simply put, he discussed “the complexity of comprehending economies from long-ago in the present day,” according to an Oct. 5 article published in the Hartford Courant. More information on the exhibit “A Vanished Port” is posted to the historical society’s website. 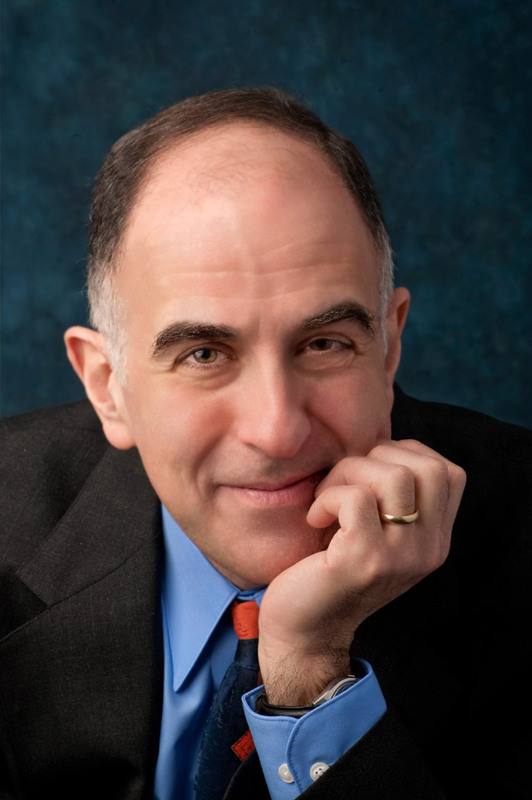 At Queen’s University, in Belfast, Northern Ireland, Richard Grossman, professor of economics, was appointed to the International Advisory Board of Queen’s University Center for Economic History, where he will advise on the university’s many economic programs. Grossman also served as an external examiner on a PhD thesis titled, “Bears and Bubbles in Financial Markets: Essays on the British Bicycle Mania,” at Queen’s University. Grossman also presented his co-authored papers “Beresford’s Revenge: British equity holdings in Latin America, 1869-1929,” and “Long-Run Patters and Shifts in Wealth—Insights from Irish Share Prices since 1825,” Sept. 1-2 at the 6th Eurhistock Conference, a conference focusing on the history of the European stock market. 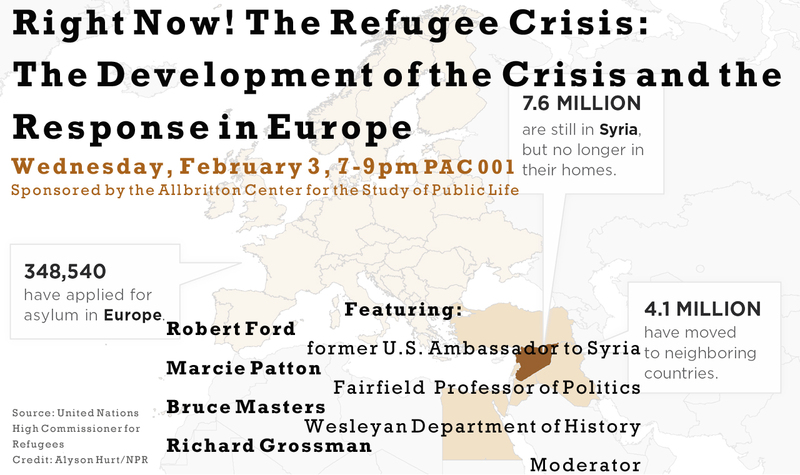 The Allbritton Center for the Study of Public Life will host a series of three panels in February and March on the refugee crisis. All events will take place in PAC 001. The first panel, The Development of the Crisis and the Response in Europe, will be held at 7 p.m. Feb. 3. Moderated by Professor of Economics Richard Grossman, the panel is comprised of Bruce Masters, the John E. Andrus Professor of History; Robert Ford, former U.S. ambassador to Syria; and Marcie Patton, professor of politics at Fairfield University. The second panel, The Refugee Experience, will be held at 7 p.m. Feb. 17. Moderated by Victoria Smolkin-Rothrock, assistant professor of history, assistant professor of Russian, Eastern European and Eurasian Studies, it will feature discussion between Steve Poellot, legal director at the International Refugee Assistance Project (IRAP); Mohammed Kadalah, of the University of Connecticut Department of Literature, Cultures and Languages, who was recently granted asylum after fleeing Syria in 2011; and Baselieus Zeno, a PhD candidate in political science at the University of Massachusetts–Amherst and a Syrian refugee. The final panel, The U.S. Response, Locally and Nationally, will be held at 7:30 p.m. March 31. Moderated by Assistant Professor of Government Ioana Emy Matesan, the panel will include Christina Pope of Welcoming America; Chris George, director of Integrated Refugee and Immigrant Services; and Jen Smyers, director of policy and advocacy at Church World Service. It will also feature a video message from U.S. Senator Chris Murphy of Connecticut. For more information, contact Rob Rosenthal, director of the Allbritton Center, at rrosenthal@wesleyan.edu. Richard Grossman, professor of economics, and Masami Imai, professor and chair of economics, professor of East Asian studies, are the authors of an article published January 2016 in Explorations in Economic History. The article is titled “Taking the lord’s name in vain: The impact of connected directors on 19th century British banks.” Grossman and Imai considered the appointment of prominent, well-connected individuals (former members of Parliament and lords) to the boards of directors of banks in pre-World War I Britain, and investigated whether their presence enhanced equity value for bank shareholders. Surprisingly, they found that these individuals actually had negative effects on bank equity returns. The article is available online to read for free until February 2016. They anticipate that, like most former members of Congress and high ranking members of the executive branch, Boehner is likely to have his pick of lucrative job offers—to become an investment banker, lobbyist or corporate adviser. “But for any of these companies, John Boehner would be a terrible investment,” they write. They cite their own research looking at the hiring of politically connected directors from British government in the three decades before World War I, which found that these appointments tended to have a negative effect on bank equity returns. Japan’s economy has performed poorly during the past two decades, and many wonder if it will ever “recover its former glory.” Grossman took the affirmative view, arguing “there is good reason to believe that Japan will emerge from its funk and achieve growth rates similar to those of its counterparts in the developed world.” He writes that the prospects for success depend on the effectiveness of Prime Minister Shinzo Abe’s “three arrows”: expansionary monetary policy, expansionary fiscal policy, and structural reforms. Grossman goes on to describes Abe’s strategy and progress in these three areas. Grossman’s talk focused on cross-border cooperation between international bank regulators in the wake of the U.S. subprime and European debt crises—an effort to enhance banking stability. Examples include the Basel capital accords and European Stability Mechanism. Grossman put these into historical context by looking at episodes of cooperation—and competition—between federal and state regulators in the U.S. during the 19th and early 20th centuries. He presented evidence on several episodes in which state and federal regulators loosened regulations to help banks under their supervision gain a competitive advantage over banks in neighboring jurisdictions. Although cooperation is feasible in some areas of regulation, Grossman argued that regulators will always be inclined to compete—that is, favor their own banks at the expense of others. On June 20, Grossman presented a paper at the Third CERP Economic History Symposium, held at Norges Bank, Norway’s central bank, in Oslo. The paper utilizes data on the presence of prominent individuals—that is, those with political (e.g., Members of Parliament) and aristocratic titles (e.g., lords) — on the boards of directors of English and Welsh banks from 1879-1909 to investigate whether the appointment of well-connected directors enhanced equity value for bank shareholders. Their analysis of panel data shows that the appointment of connected directors did not increase equity returns (as measured by the capital gain plus dividend yield on bank shares), but rather that the appointment of MPs to directorships had negative effects on bank equity returns. 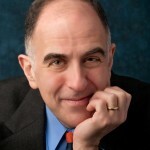 MarketWatch columnist Howard Gold turned to Professor of Economics Richard Grossman for his take on reforming the Fed. Gold took issue with calls from presidential candidate Sen. Rand Paul and others to “audit the Fed,” but instead advocated for term limits for Fed chair-persons and changes in the pivotal Federal Reserve Bank of New York. On the matter of term limits for the Fed chair, Grossman spoke of former chairman Alan Greenspan, who stuck around nearly 19 years.